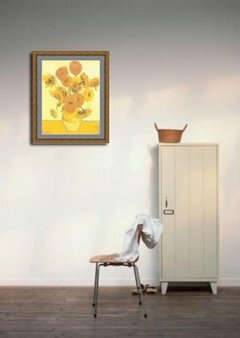 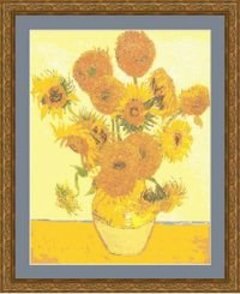 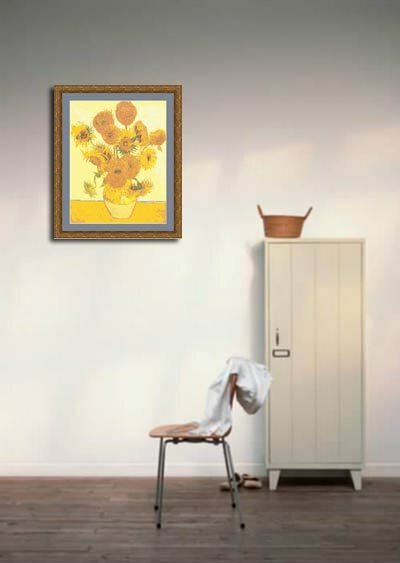 This design features the famous painting by Van Gogh with Sunflowers in a vase. 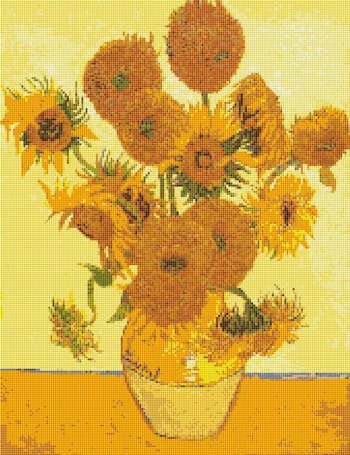 Cloth Details: Can be worked on aida cloth, linen, or any even weave or open weave fabric. For 14 holes per inch, finished size will be 12.1" x 15.7".